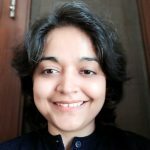 A chronic, long-standing condition where airways carrying air to the lungs undergo narrowing and inflammation, asthma is a disorder which cannot be cured, though it can be treated and managed. Airways of asthmatic patients are sensitive and tend to respond to triggers in the atmosphere that are taken in while breathing. Following this reaction, airways become swollen and narrow, leading to the generation of excessive mucus, making it harder for airflow into the lungs. Muscles surrounding the airways become tight and this limits the air flow. When airways react to triggers of the environment, one can experience an asthma attack. This is characterized by a tightness in the chest, coughing and wheezing, difficulty in breathing and many other symptoms according to CDC. The severity and frequency of the attack may vary from mild and moderate to high. The lung disease is observed in people who have allergic disorders in their genes such as hay fever, or allergy to peanuts. An asthma attack occurs when the muscles surrounding the airways and the air passage linings become constricted. The swollen airways reduce the amount of air that enters the lungs and leads to that coughing and wheezing sound when a person inhales. Asthma attacks can be quite dangerous because if the airflow in the lungs becomes blocked, and inhalers can be used to provide quick relief. 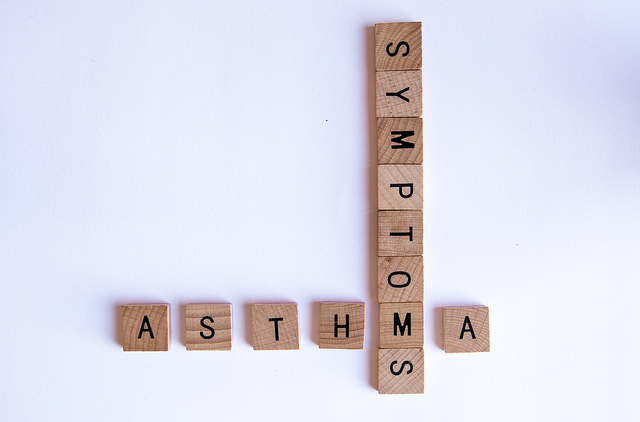 Asthma symptoms can be constant or transient depending on the season, climate and triggers. Generally, the symptoms of this disorder worsen in the fall or spring time. This is more so for persons suffering from allergies due to mold or pollen. 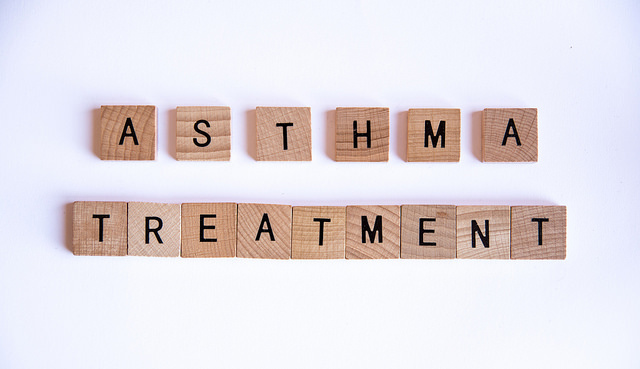 Therapy can be used to prevent asthma. Asthma symptoms can also be treated with rapid-acting bronchodilator inhaler. Some of the common signs of asthma include coughing, problems in breathing, tightness in the chest and wheezing. Asthma symptoms are serious and can be quite difficult to combat. Varying from one person to another, asthma symptoms can even change in frequency and severity within the same person. The symptoms of this disorder can be subtle and co-morbid with other conditions pertaining to the cardiovascular or respiratory system. This makes it tough to identify the setting in which the symptoms can take place. Diagnosis is the key to effective treatment and management. Symptoms such as shortness of breath can worsen over time. The chief symptom is wheezing or coughing. 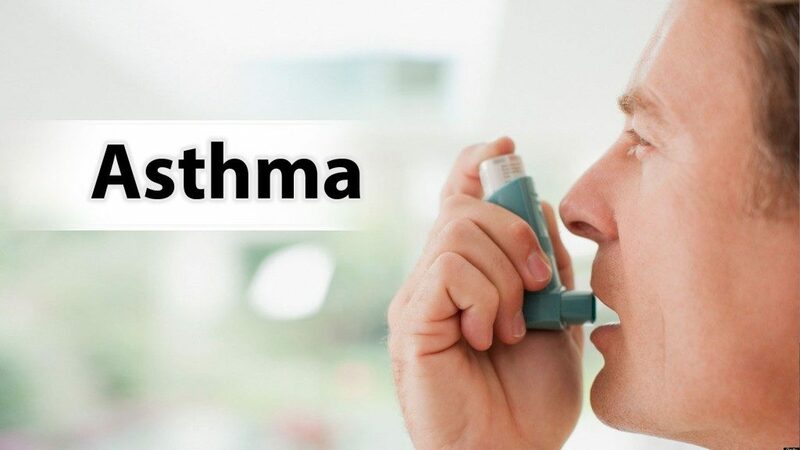 Symptoms of asthma range from a cough without or with phlegm, intercostal retractions or the force on the skin between the rib while inhaling or exhaling. Difficulty in breathing gets worse with any extended periods of activity or exercise. Wheezing may come and go, could worsen at night or early in the mornings and gets better when drugs are employed to open the airway or inhalers are used. Other symptoms associated with the disease include difficulty in breathing, temporary stoppage of breath, pain and tightness in the chest. Irritants: This comprises smoke from the cigarette, vehicular emissions, chemicals or dust within the workplace. Other irritants include compounds in home decor products and sprays. The triggers are different for everybody and while some may affect you, others may not. When airways become swollen, they increase in sensitivity and respond to irritants in the atmosphere in a big way. The bronchial tubes are inflamed and may become sensitive to allergens or certain triggers. Other irritants are non-specific trigger agents. Airways may also experience increased sensitivity and this is called as BHR/bronchial hyperreactivity. Asthma and allergy patients have higher BHR and their airways become swollen and constricted. Exposure to smoking or emission fumes as a child. Asthma affects people across age groups, and often starts in childhood. Young children who wheeze and have respiratory infections are at greater risk of developing the respiratory disorder. Boys are more susceptible to asthma than girls , but in adults, this disorder affects both genders equally. Many people with asthmatic symptoms may also have allergies. 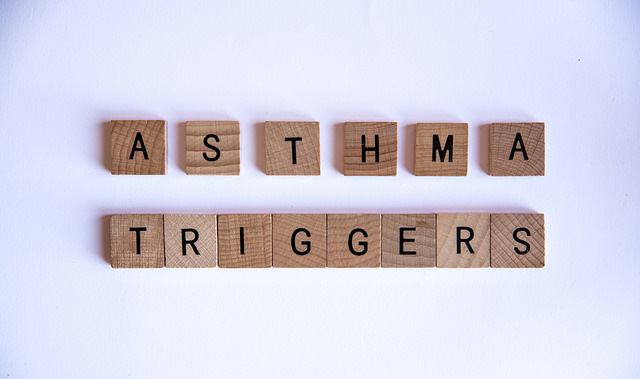 There is even a category of asthma known as occupational asthma which involves contact with certain chemical irritants or allergens in the work setting. Asthma is diagnosed based on genetic and family history of asthma and allergies. It also requires a medical examination and test results. It also includes a lung function known as spirometry that measures the way air blows in and out and the doctor may recommend testing for allergies. There is currently no cure for this condition. Those who experience asthma should be aware of how to speak with their doctor and best deal with their conditions and symptoms. Management of asthmatic symptoms involves researching the asthma triggers and taking medicines to counter these. Asthma treatment aims at lessening the swelling and sensitivity of inflammation and getting rid of allergy triggers such as pollen and animal dander. The main aim is to prevent asthma attacks. The medicines for asthma are administered through pill or injections. But the most common method is through the use of inhalers which enable direct interaction with medicines. Two main classes of medications include inhaled corticosteroids and beta 2agonists such as albuterol.Rapid relief inhalers should not be used in place of long-acting beta2 agonists such as Advair. Other treatments to take care of asthma include leukotriene modifiers which stop chemicals that swell up the airways from affecting the body. Exercise-induced asthma and allergy treatment can also be cured by pill medications such as Montelukast. The main categories of medication to treat asthma include short term and quick relief as well as long-term ones. Quick relief medication provides a fast cure for acute asthmatic symptoms. This includes short-acting beta2 agonists relaxing muscles Long term medication includes corticosteroids and omalizumab. Fast acting beta2 agonists and anticholinergics are bronchodilators which can be used for expanding the passageways into the lungs, allowing air and improving breathing. Long term medication include classes of corticosteroids such as inhaled or oral as well as long-acting beta2 agonists and immunomodulators as well as methylxanthines. Two types of immunotherapy include allergy shots and sublingual or under the tongue tablets. If the asthmatic symptoms have been triggered by allergens, allergy shots may be the cure. FDA started sublingual tablets in 2014. 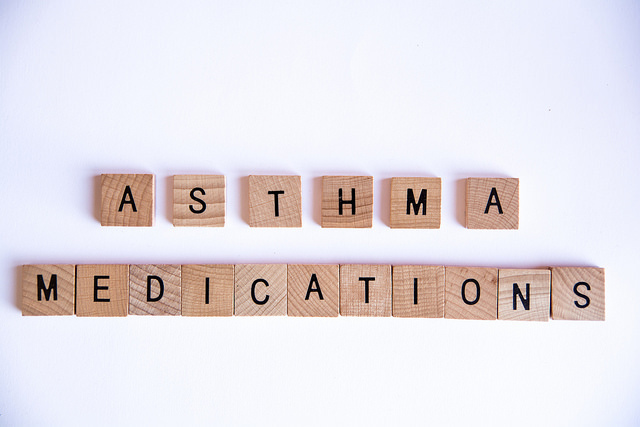 There may be no way to prevent asthma but certain steps can be taken to deal with the problem. Following the action plan for combating asthmatic symptoms is important. For this, the doctor and healthcare team should be used. Asthma is a chronic condition so regular monitoring and treating of symptoms is a must. Another important key is to get vaccinated for pneumonia and influenza. This can prevent flu and pneumonia from causing a flare up. It is critical that environmental triggers which aggravate the asthma are identified and avoided. Locate what causes or intensifies the symptoms and make the effort to avoid this. Regulate your breathing because if lung function decreases, you need to be alert on the signs and symptoms. Attacks need to be identified and treated early and when peak flow measurements fall, the medication must be resorted to. If the symptoms do not go away following efforts, make sure to consult your doctor. Medication must be taken as per the prescription, and you need to monitor the quick relief inhaler. If you rely excessively on quick relief inhaler, asthma is not under control. You may need to then see a doctor. Check different aspects like blood pressure, health and activity, the frequency of attacks and other factors. Use humidifiers and air cleansers to ensure that pollution does not aggravate the condition further.